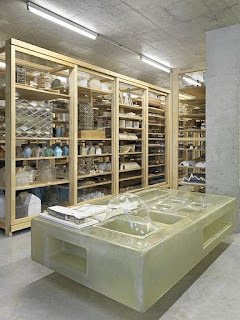 The Jacques Herzog and Pierre de Meuron Kabinett, a charitable foundation established with the intention of making the entire body of the estate accessible to the public. We – Jacques Herzog and Pierre de Meuron – have decided to establish a cabinet into which we plan to integrate our estate as an endowment. 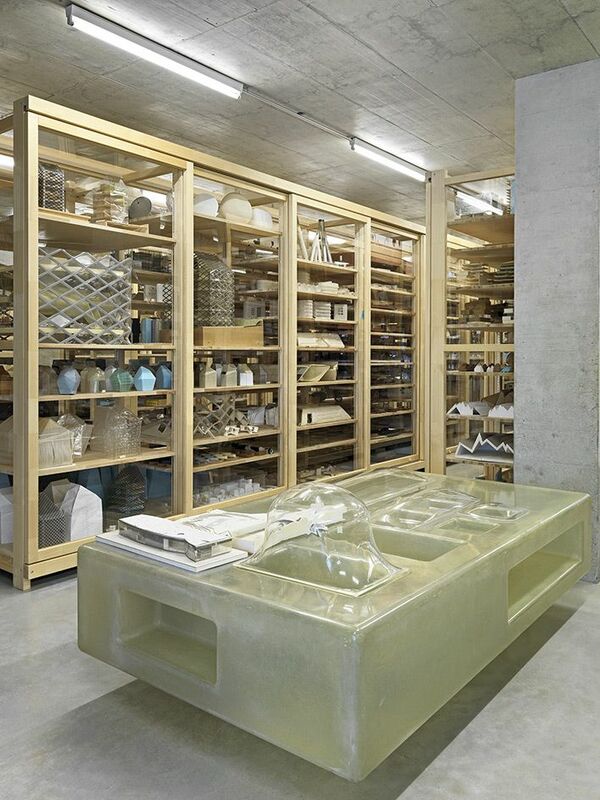 The Jacques Herzog and Pierre de Meuron Kabinett is a charitable foundation established with the intention of making the entire body of the estate, divided into sub-cabinets, accessible to the public. Our aim, first and foremost, is to have the holdings permanently domiciled in Basel in their entirety, such that they may contribute to the cultural substance of our native city, which has been a lifelong inspiration to us. To that end, the museums and institutions in Basel will have priority in view of possible loan inquiries. The Kunstmuseum Basel, in particular, will be privileged, should there be an interest in presenting parts of the cabinet on permanent loan. 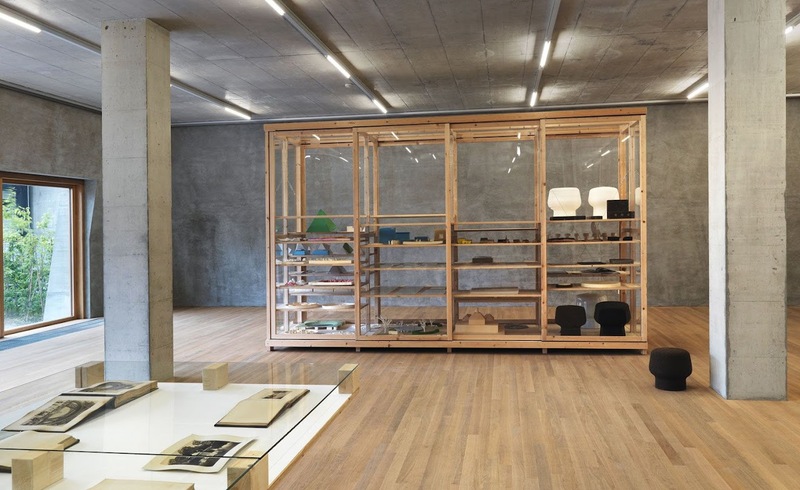 Logically, therefore, the respective director of the Kunstmuseum will join Jacques Herzog, Pierre de Meuron and Partner-in-Charge Esther Zumsteg as the fourth member of the board. In addition, by establishing the cabinet, we have found a means of resolving issues of inheritance and ensuring that the substance of our estate will not be traded on the art market. Why a cabinet? 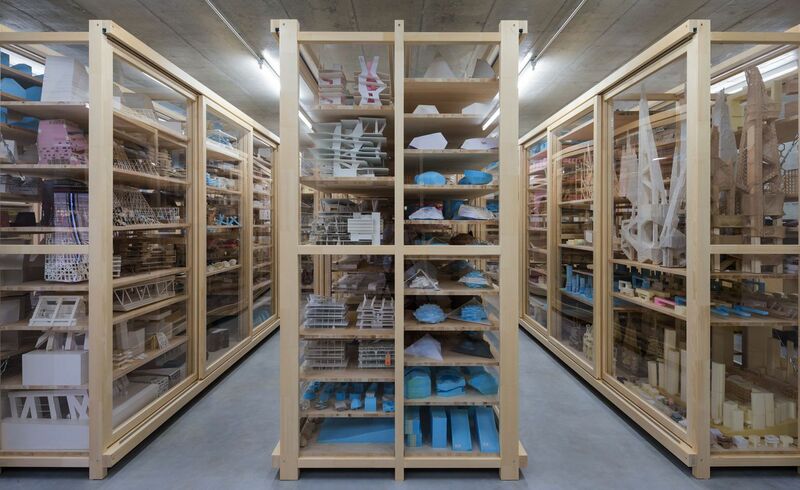 The term ‘cabinet’ stands for something intimate, something that has emerged and been preserved with great care over the course of many decades and, above all, something that should remain fruitfully workable despite the substantial holdings. 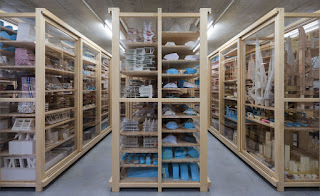 Equally, it is a cabinet because – to the extent the conservatorial considerations permit – the entire archives shall be installed for viewing in our Helsinki Dreispitz building, which is more in the nature of a showroom than a warehouse. An extremely diverse concatenation of mutually complementary parts shall be integrated into the cabinet, representing the multiplicity and openness that has always been crucial to our collaborative approach. These parts will be organized in sub-cabinets, defined by content that shares related archival properties and requirements. The subdivision will ensure a better overview as well as individualized care and accessibility. a cabinet of texts (written documents, essays, descriptions of projects, theoretical studies, organograms and texts by others, such as reviews and press materials). In addition, one cabinet will be devoted to our art collection. We have come into the possession of numerous works of art over the years, all of them from artist friends with whom we tried out many different ways of working together. These works of art, acquired through purchase, as gifts or as working material, are crucial and indispensable forms of expression and constituents of our own work. Lastly, we have acquired the magnificent and wide-ranging collection of photographs formerly in possession of Ruth and Peter Herzog, Basel. The spontaneous decision to make this acquisition was fostered by a concrete opportunity and with absolutely no strategic intent. The unique collection of photographs and albums will be integrated into our cabinet as an independent entity under its original name. We hereby confirm what has unfortunately already been rumoured in certain media: In the summer of 2013, we made it financially possible for the Basel Kunstmuseum to acquire three pictures by Gerhard Richter from his cycle Annunciation. We did so to underscore our veneration of this truly venerable institution and of the patrons whose bequests and permanent loans have furthered the riches and quality of the Kunstmuseum for decades and indeed centuries – in contrast to loans subsequently recalled by heirs out of financial interest. Why Richter? Gerhard Richter is among those artists with whom we have enjoyed many years of exchange, exploring and testing forms of collaboration between architecture and art. This exchange bore fruit in 1999 in connection with the de Young Museum in San Francisco. The opportunity to donate three of the Annunciation paintings was initially made possible through our friendship with the director of the museum, Bernhard Mendes Bürgi, and his congenial contact with the former owner of the cycle. This is a unique gift and separate from our financial and intellectual commitment to the Jacques Herzog and Pierre de Meuron Kabinett. We had wanted the gift to remain anonymous until we ourselves had become clear about the vision and form of our Cabinet Foundation as communicated here today.